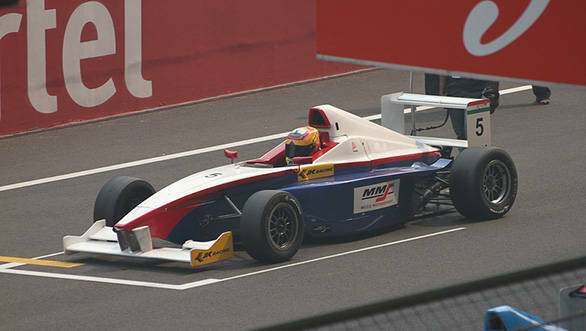 Back in 2011, JK Tyre bought out the Formula BMW Pacific series and renamed it the JK Racing Asia Series. The cars used were the same FB02 cars manufactured by BMW, complete with Mygale chassis and 1.2-litre BMW engines that made 140PS. These cars were raced in the Racing Asia Series over 2011 and 2012, with the series even heading to Europe last year. What's a good way to ensure a national racing event is taken to the next level - bring in cars that were used in an international racing championship. And so JK Tyre has decided to bring down these Formula BMWs to their new racing series in India. We think this is a terrific idea, because it gives young Indian drivers some amount of practice and training in full-fledged purpose-built racecars of a proven quality. Which, of course, means they won't be at a loss when they do graduate to more powerful machinery. Possibly the most interesting part of the Formula BMW races is the fact that there will be plenty of young blood racing in the championship. The winners of last year's national championship have all been given free drives in this year's series. And the grid certainly does look exciting. 2011 Volkswagen Polo R Cup champion Vishnu Prasad will take on one time Formula BMW Pacific racer Akhil Khushlani, current Sahara Force India Young Driver Academy's Arjun Maini and the likes of Chittesh Mandody, Ameya Bafna and Saran Vikram. The grid is young and talented, and we're sure the battles will be exciting. There's something about the Volkswagen Polo R Cup races, isn't there. When the Polo Cup first arrived in India in 2010, it was a novel concept in that it was India's first full-fledged one-make series. Drivers were picked based on a rigorous selection process, put into a field of identical cars and then sent out to race. What this achieved was sifting talent out - Sailesh Bolisetti, Vishnu Prasad and Sandeep Kumar were all worthy winners of the Polo Cup crown. Now that the championship is in its fourth year, there is plenty to look forward to. The Volkswagen Polo R Cup races are known for thrilling action, and with a grid that comprises a lot of new blood, we should see new talent emerge this year as well. Meanwhile, there's Jeffrey Kruger, the South African racer who competed in the Polo Cup as a guest driver last year and also set the fastest lap time at the BIC in 2013. He will make for a formidable foe. They might not be the most attractive looking cars out there, but full credit must be given to LG Sports for building and developing racecars for domestic motorsport year after year. 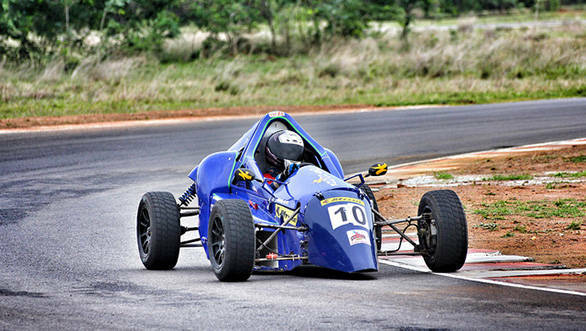 Powered by the Swift engines, these cars are what youngsters moving up from karting cut their teeth on, before moving on to bigger, better things. All in all, a fun series to watch. At the moment, there are a list of four rounds on the JK Racing Championship calendar. However, there is another round of the championship that is yet to be confirmed. From what we understand, this is a street race that is supposed to be held at Srinagar. Why Srinagar you ask? Because the good folk at JK Tyre believe it could well be the Monaco of India, with the scenic track snaking its way through the city. Just replace the yachts at the harbour with houseboats at the Dal Lake. We're waiting to see if they manage to pull this off!